What: Stickii is a sticker subscription that sends an envelope full of Cute, Retro or Pop themed stickers every month (you get to choose the category!). This review is for the Cute pack. This month is going by so fast. It seems like I just got September's sticker pack not too long ago. October's sticker theme is Adventure. Let's see what's in here, shall we? What October sticker pack would be complete without a touch of Halloween? Those puffy ghosts are anything but scary - my favorite are the ghost bunnies. 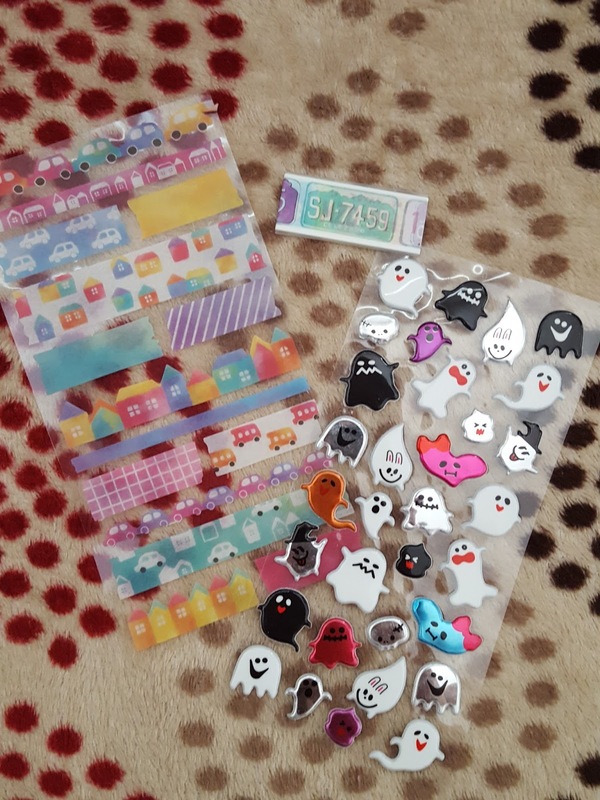 :) There's also a license plate washi tape sampler and a sheet of colorful washi stickers to stick wherever you please. Like your husband's toolbox, just because. More colorful stickers! I love color. Look at those cartoon animals! 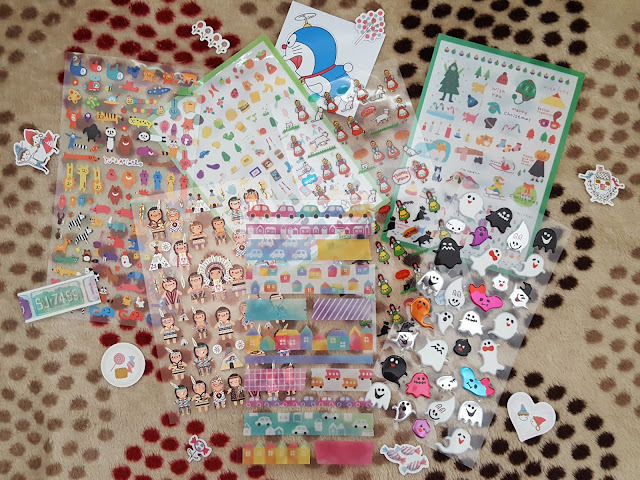 The other two sheets are transparent square shaped stickers with home-related and Christmas themes. 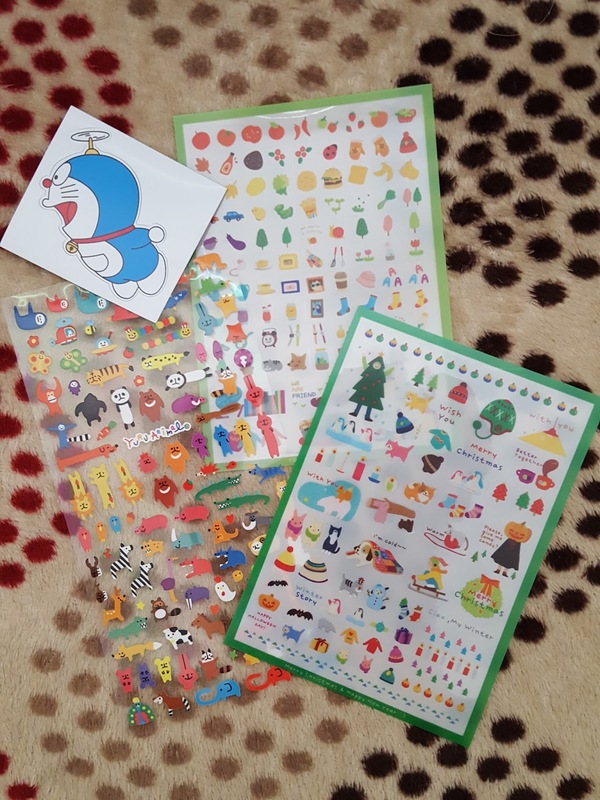 Doraemon also somehow waltzed his way into this month's sticker pack. And finally we have these adorable people stickers. Stickii also throws in a bunch of singles to round out the pack. These aren't as colorful as everything else in the package, but they're still super cute. I loved the COLORS in this month's sticker pack! The cartoon animals have already invaded my work desk. Sorrynotsorry. 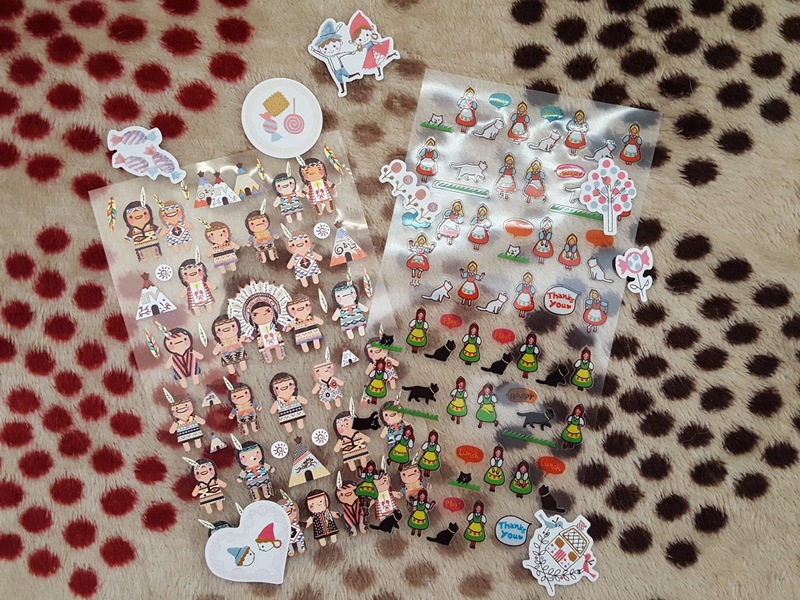 If you love stickers and cuteness, you can sign up for Stickii Club here. You can choose from three genres - Cute, Retro, and Pop, though all have some degree cuteness factor. Or better yet, pick up all three!